Above. Ductus venosus waveform. Reversal of a wave. 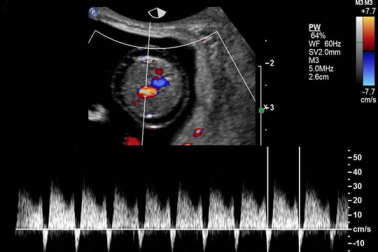 This topic summarizes the use of fetal Doppler in most of the common clinical situations encountered in practice. Emphasis is focused on umbilical artery, middle cerebral artery, and ductus venosus waveforms.